Dr. Darshan Mehta, Education Director for the Osher Center for Integrative Medicine and Medical Director of the Benson-Henry Institute (BHI) for Mind Body Medicine at Massachusetts General Hospital, continues to build bridges and forge partnerships with academically based health care institutions in India. 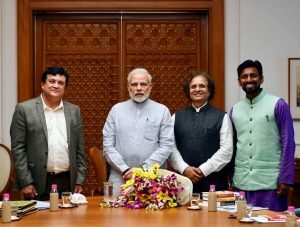 Having met with the Indian Prime Minister in 2018, Dr. Mehta’s experience and expertise in mindfulness-based modalities is sought after by researchers and practitioners alike in Mother India. In March 2019, Drs. Greg Fricchione, and Darshan Metha from BHI were invited speakers at two Indian symposia. 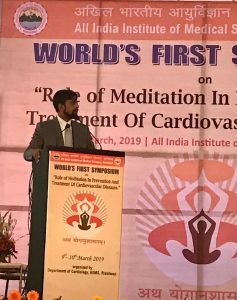 The first was entitled, “Role of Meditation for Prevention And Treatment Of Cardiovascular Diseases” held at the All India Institute of Medical Sciences – Rishikesh. This two-day symposium was attended by more than 800 delegates from India, and the first of its kind held in Rishikesh. Drs. Fricchione and Mehta focused on the importance of mind-body medicine in the modern health care system. 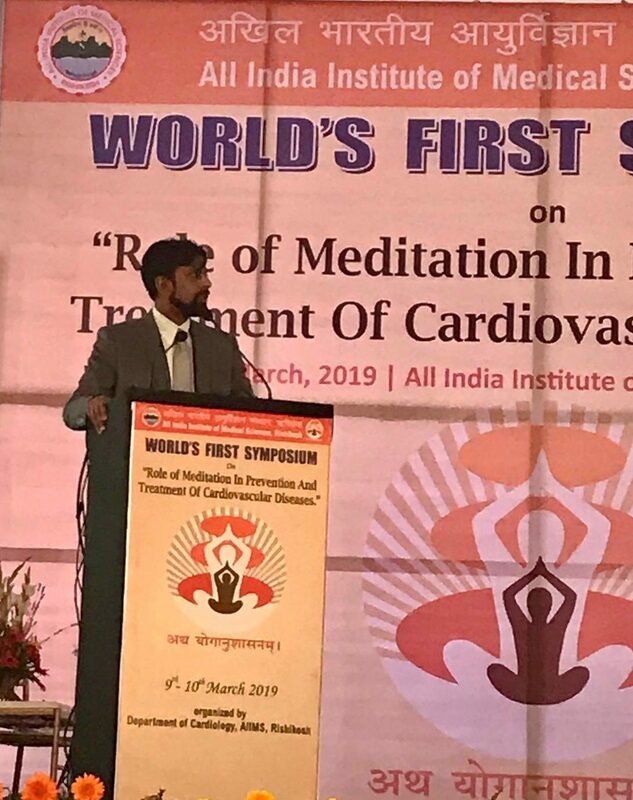 Dr. Mehta’s presentation highlighted in particular, the role of meditation in hypertension management. Dr. Mehta then attended the Sri Ramachandra Institue of Higher Education and Research in Chennai. 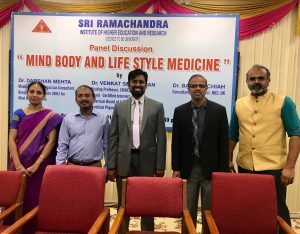 There, he was a part of a panel that discussed the important of mind body and lifestyle medicine in healthcare education. This symposium was attended by more than 300 students.